Call Us For a Plumber You Can Trust! 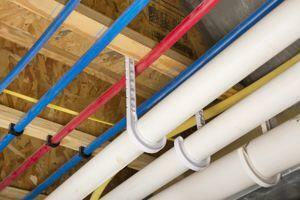 If you’ve never had experience working on plumbing, it might not be a good idea to try plumbing repairs on your own. Even repairs that seem like they might be quick and easy repair can expand into something far more damaging if you aren’t sure what you’re doing. Puyallup’s plumbing experts at John’s Plumbing & Pumps have you covered! 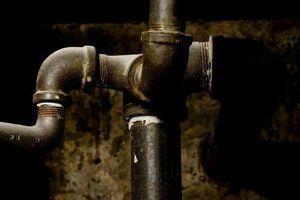 That little leak could become a pipe burst if you slip up! If you aren’t willing to take the risk, call up John’s Plumbing & Pumps, Inc for a plumber in Puyallup. With decades of experience, our versatile team can quickly identify the source of the problem. With fast work, lasting repairs, and fair pricing, we’re the all-in-one plumbing crew that you need! Have an emergency? Many problems–such as slow running drains–are inconvenient, but something you can work around. But what about when you have something big like a burst pipe or no hot water? You don’t have to wait until the next business day! Call us up and tell us you have an emergency, then explain the problem and we’ll get someone sent over as soon as we can. Fixing leaks. Whether it’s a dripping faucet you can’t stand anymore or water dripping out of the walls, our plumbers will find whatever is causing the problem and make sure it gets fixed right. Fixture repairs. Have a sink handle that won’t stay up? How about a toilet that clogs easily? We can take care of these issues and much more in your bathroom, kitchen, or anywhere else on your property. Water isn’t working right. If you aren’t getting much (or any) hot water, or your water is coming out in spurts or in an unusual color, one of our plumbers can see what’s causing it and make it right. Septic repair. One of the worst things that can happen to your home is when the septic stops working or starts backing up. Call us right away so we can keep you and your family safe! We do leak detection plumbing too! Finding a leak isn’t always easy! When it’s out of sight, it could be damaging your home without you knowing it. No matter where it is, our leak detection plumbers won’t rest until they find and repair it! Why Choose Us For Your Plumbing Needs? There are many plumbing companies that work in Puyallup, but none can match the service, experience, and value of John’s Plumbing and Pumps. We’ve been in the plumbing business for over 60 years, so you’ll be hard-pressed to find a problem that we haven’t worked on and solved before! We’re local and family-owned and know the Puyallup area well. But you don’t have to take our word for it! Take a look at our Facebook reviews and see how actual customers are pleased with our professionalism and high-quality work. From drain cleaning to mainline replacement, when you need a plumber in Puyallup, we won’t be beaten!